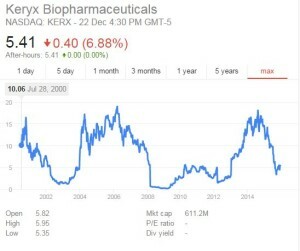 Keryx Biopharmaceuticals Inc (NASDAQ: KERX) is essentially a bio-pharmaceutical company focused on the research, development and commercialization of pharmaceutical products geared towards patients with kidney disease and their healthcare providers. It is a highly volatile stock – has been trading upwards close to 40% from $4 to close to $5.50 in the span of a week – and fell by more than 60% for the past year. Although biotechnology stock is well known for their volatility, for a company that has more than 10 years of history behind them, it is not that common! 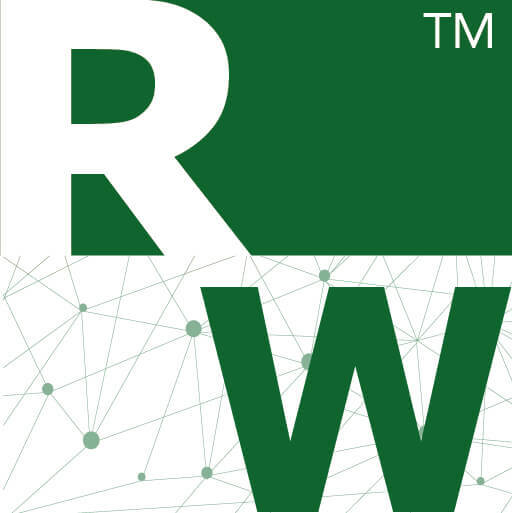 They have offices in Boston and New York City to support the US launch of Auryxia™ (ferric citrate) – which is approved by the US Food and Drug Administration (FDA) back in September 2014. 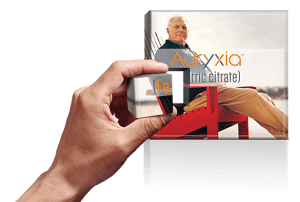 Auryxia is without a doubt their strongest weapon – as compared to other drugs on the market, it is much more effective in controlling of phosphorus levels in patients with chronic kidney disease on dialysis – the problem is that they are not able to commercialize it that well yet. This is due to having not enough money to dispatch more sales force on the ground. An independent market research shows 79% of patients taking Auryxia continue taking it and only 3% discontinue because of tolerability – this shows the high retention rate of patients using Auryxia. On 10 December 2015, KERX announced that John P. Butler has been appointed as a new independent director to its board of directors: He supposedly has a long track record of success commercializing medicines for patients with kidney disease – it would prove valuable as they advance the commercialization of Auryxia. Only time will tell if the new independent director can prove to be a valuable asset to KERX. 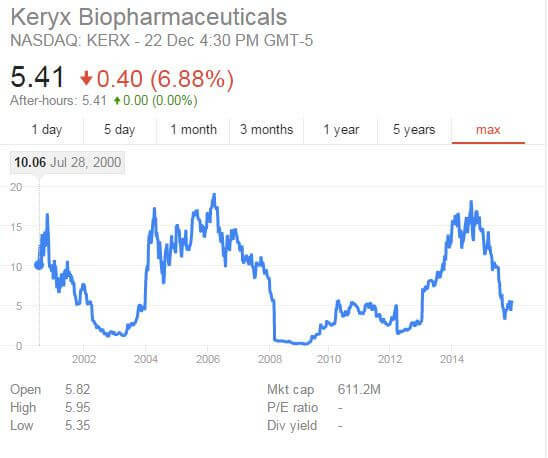 Another solid reason that this stock is worth watching is because Seth Klarman – a well-known value investment guru – has a huge stake of the outstanding company: The cash injection that Seth gave KERX is fully intended for them to ramp up their sales force and increase the adoption and commercialization rate of Auryxia. 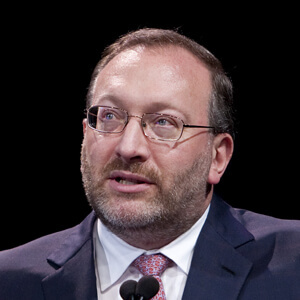 In 2014, Forbes listed Seth Klarman as one of the 25 Highest-Earning hedge fund managers in 2013. His 2013 total earnings were $350 million ranks him the 20th among the 25 top-earning hedge fund managers. So can the support of John P. Butler + Seth Klarman = Success for KERX? Disclosure: I have a position in KERX selling put for January option. I wrote this article myself, and it expresses my own opinions. I am not receiving compensation for it. I have no business relationship with any company whose stock is mentioned in this article.